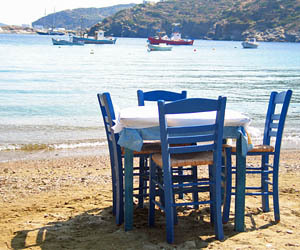 Welcome to my selection of charming small hotels, bed and breakfasts and guesthouses in Greece! Welcome to the most charming small hotels in Greece! I’ve been living in Athens since 1998, and have spent much of my time travelling around Greece. I am always looking for unique and charming small hotels, bed and breakfasts and guesthouses. On this website, I am presenting my favourite places to stay in Greece. They are hotels and other types of accommodation (holiday villas, bed and breakfasts, guesthouses, self-catering cottages…) marked by character, charm, friendliness, history, style and beauty. An affordable bed and breakfast in Athens. 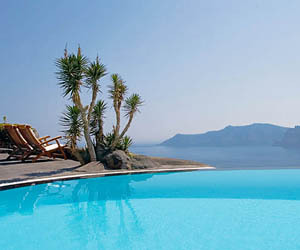 A romantic honeymoon hotel in Santorini. 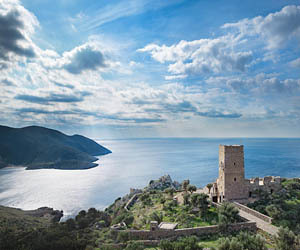 A historic tower house in Mani and a centuries-old country estate near Monemvasia in the Peloponnese. 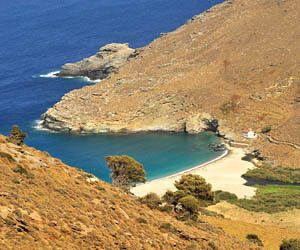 Self-catering holiday cottages in southern Crete. 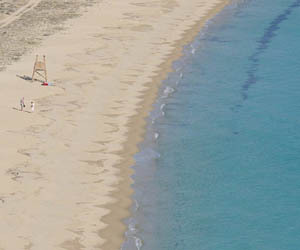 Luxury villas on Lefkada. Traditional guesthouses in Pelion. 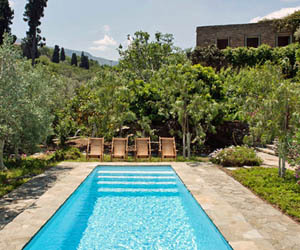 An old family property on Corfu. 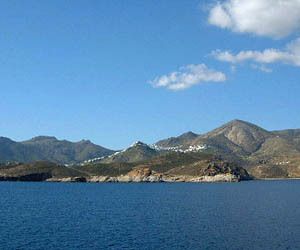 A beach hotel on Serifos. A restored windmill on the small Cycladic island of Kimonos. 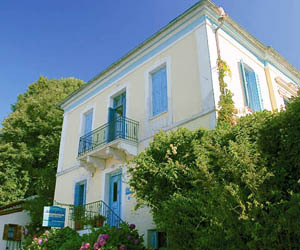 A converted school building on Hydra. A magnificent hotel overlooking Lindos on Rhodes. A stone mansion in the mountains of Epirus. An eco beach-resort on the island of Andros … There are some truly special places to stay in Greece and I’m here to help you find them. 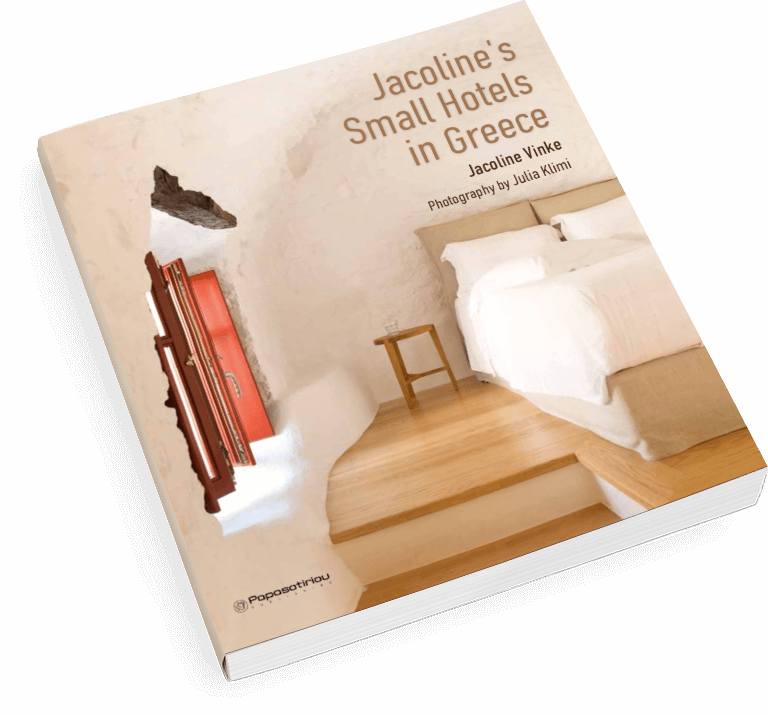 I hope my website “Jacoline’s Small Hotels in Greece” will help you to sample life in Greece at its very best. No matter what your budget is, you can travel the country in style. Go for a luxurious hotel if you feel like it. I have found some amazing places that manage to combine luxury with charm and character. But don’t worry if you don’t want to spend too much. There are plenty of little hotels and guesthouses that have plenty of charm and offer perfect comfort, but that won’t blow the budget. 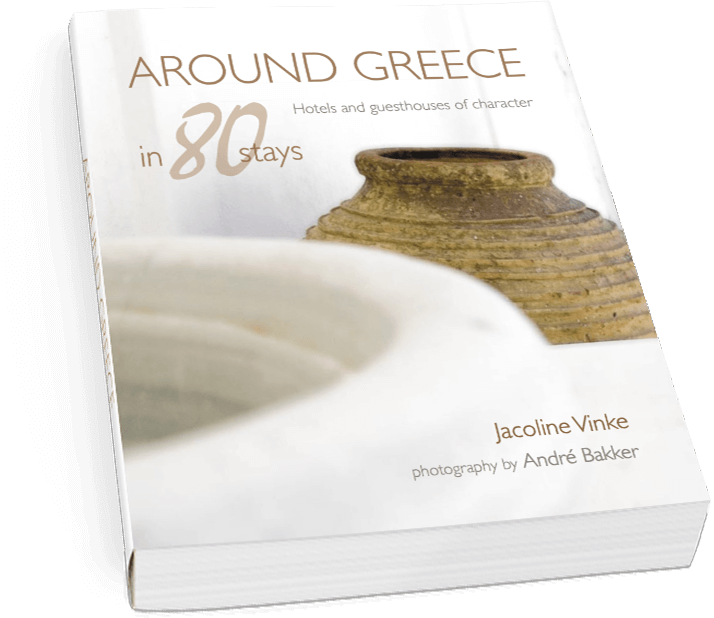 Join me in discovering the most beautiful and charming small hotels, guesthouses and bed and breakfasts in Greece! If you would like to be among the first to hear about the hotels I visit, simply “like” my page on Facebook. Luxury & romance on the cliff of Santorini: a stunning hotel with historical cave houses converted into superb suites, a gorgeous infinity pool, gourmet Mediterranean cuisine and breathtaking caldera views. A small luxurious hotel on Santorini that simply has it all: views of the Caldera and the open sea; large terraces with an infinity pool; a quiet location; stylish, inviting interiors, and super friendly owners. 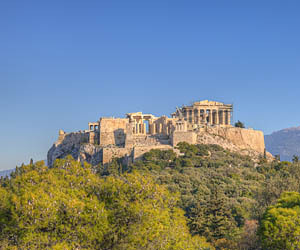 From the Acropolis to the ‘Athens Riviera’ and Cape Sounio: history, museums, art, culture, gastronomy, shopping, nightlife, parks, beaches... this is a unique destination for holidays and weekend escapes! The largest of the Cycladic islands, with fantastic beaches, beautiful hills and mountains, a lively capital and cute traditional villages. A wonderful destination for summer and family holidays. A sophisticated island a bit off the beaten track with beautiful bays, a relatively green (capers abound) and hilly landscape, pretty whitewashed villages, fantastic ceramics and excellent food. My favourite island: beautiful beaches, wild landscape, pretty villages and a laid-back atmosphere. Too raw and forbidding for some, not enough nightlife or fancy restaurants for others, perfect for me. A large (and easy to reach) Cycladic island with beautiful beaches, lots of greenery, charming villages and... very few tourists. 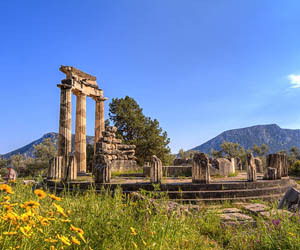 A wonderful destination for off-the-beaten track holidays in Greece. 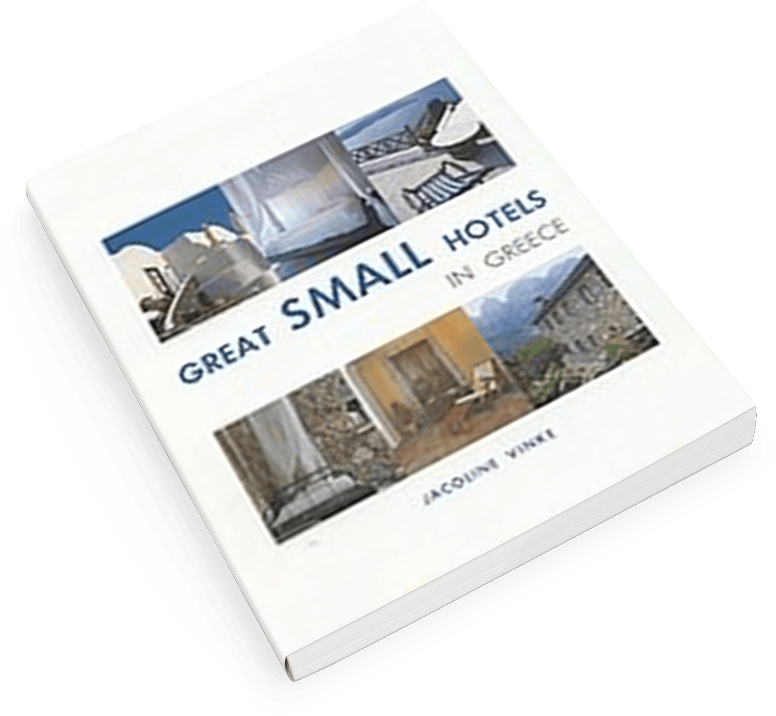 Travelling through Greece and discovering charming little places to stay is a passion and I have written several books about small hotels in Greece. Check them out! If you would like to hear about my latest discoveries of wonderful little hotels, guesthouses and B&Bs in Greece, sign up for my newsletter. Thank you! Your registration has been completed!